FINAL SALE. This lovely and delicate top is a great wardrobe staple to have on hand when you want to quickly toss on something and look elegant and chic. 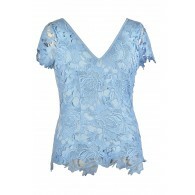 The Frond My Shoulder Button Back Top is made of a silky fabric and is a bit sheer. You may want to wear a fitted cami underneath for opacity. 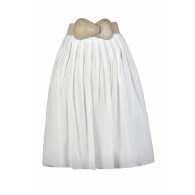 This top has a rounded neckline, short sleeves, and a loose cut with princess seams down the front. 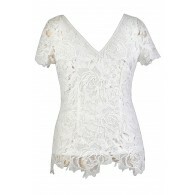 A crochet applique on each shoulder adds a cute touch to this top. At the back, a row of vertical buttons completes this look. 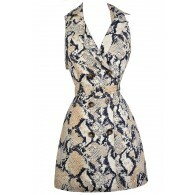 This top is slightly longer in the back, creating a flattering shape. The Frond My Shoulder Button Back Top looks adorable worn over a fitted beige cami with skinny jeans or cigarette pants and heels. Another option is to pair it with dress pants for a business casual look. Details: Unlined. 100% polyester. Dry clean only. Small measurements: Length from top of shoulder to hemline: 22-25". Bust: 33". 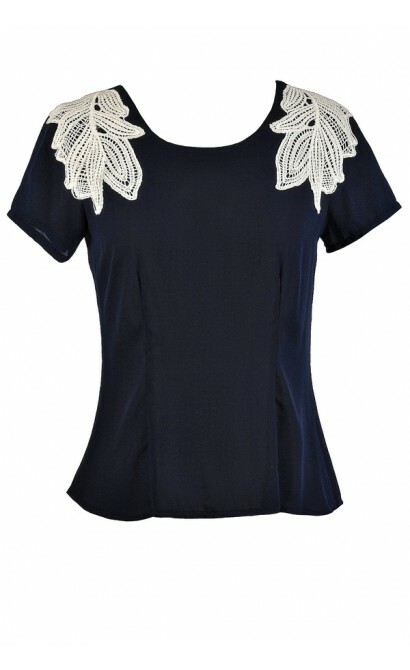 You have added Frond My Shoulder Button Back Top in Navy into Wishlist. 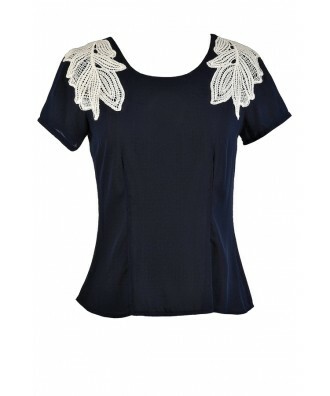 You have added Frond My Shoulder Button Back Top in Navy for Stock Notification. 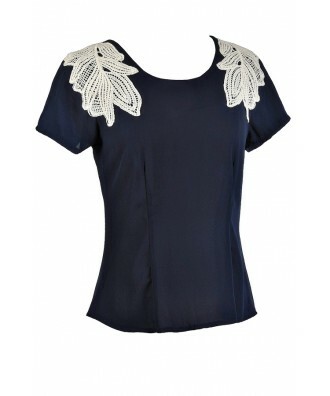 You have set Frond My Shoulder Button Back Top in Navy as a loved product. 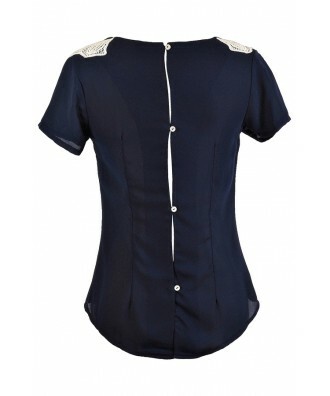 You have removed Frond My Shoulder Button Back Top in Navy as a loved product.